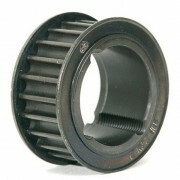 Naismith Engineering is one of Australia's largest stockist of Classical timing pulleys. We also carry the rubber belts to suit from Optibelt. Pulleys are available in both pilot & taper bore. 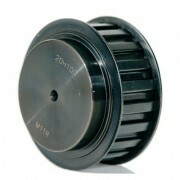 Plastic pulleys are available for both ‘XL’ & ‘L’. Clamp plates, to suit long length belting, are also available. Special pulleys in aluminium and steel are manufactured in our own factory. XL (Extra Light) 0.200" (1/5") 3/8"
L (Light) 0.375" (3/8") 1/2" & 1"
H (Heavy) 0.500" (1/2") 1", 1 1/2", 2" & 3"
XH (Extra Heavy) 0.875" (7/8") 2" & 3"
The next step in high performance drives, HTD allows higher torque and speeds. 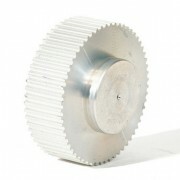 We stock a large range of pulleys. We also carry the rubber belts to suit from Optibelt. 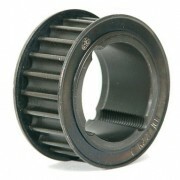 Pulleys are available in both pilot & taper bore. 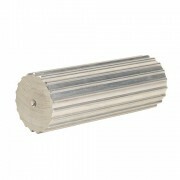 Clamp plates, to suit long length belting, are also available. Special pulleys in aluminium and steel are manufactured in our own factory. The GTR Sprockets run with Delta Chain belts from Optibelt, and Poly Chain GT belts from Gates and are a “drop-in” replacement for existing Poly Chain GT. They are Ideal for high performance Belt drives and can last up to 5 times longer than problem roller chain drives. Most GTR sprockets from SIT are manufactured in cast iron, with selected sizes in ductile iron or steel. Non standard sizes can be manufactured against order. GTR Sprockets exceed recognized industry standards for allowable imbalance, providing the end-user optimum performance over the long haul. T and AT are the European standard. Naismith Engineering stock a full range of pulleys, as well as belts to suit from Optibelt. The pulleys are all in aluminium. Clamp plates, to suit long length belting, are also available. Timing Bars are available to suit XL, & L Classical timing profiles, 3M & 5M HTD timing profiles and T5, T10, AT5 & AT10 Metric timing profiles. All Timing Bars are manufactured in aluminium and come in lengths of 140mm or 160mm depending on the diameter of the bar.